Everyone's talking about the cold polar weather we're experiencing around the country. The best way I can express it is with a recap of my morning, along with a review for one of my favorite breakfast teas. This morning it was 4 degrees with an added wind advisory. I had to walk both of my children to school, and the schools are about 1/2 a mile apart. Opening the door my daughter let out a yelp, and declared her nose was frozen and her 'boogers' were too. The air was crackling with dryness. Walking a few minutes in the wind, we couldn't feel our cheeks. My toes were numb and I was wearing boots and two pairs of socks! When it was my son's turn for school, I had to push his stroller up a hill, and it was almost impossible to breathe in the frozen dry air. But we made it, and while I was thawing on the train all I could think of was a cup of hot tea. 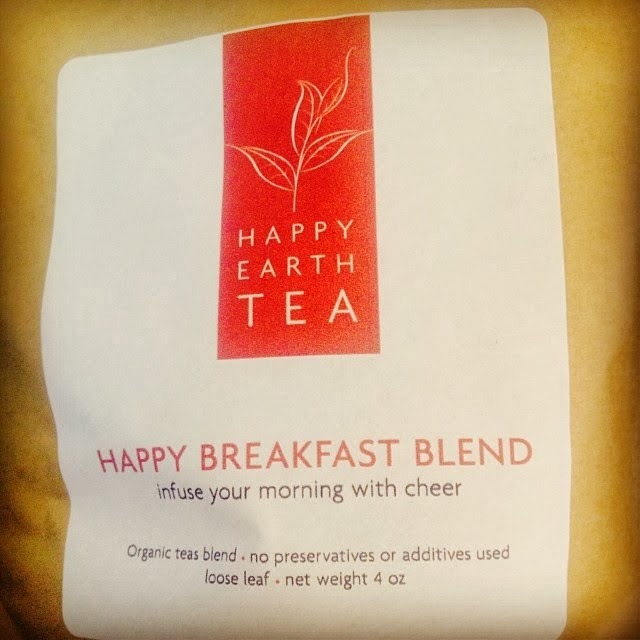 I was dreaming about the Happy Breakfast Blend from Happy Earth Tea. I didn't want any ordinary breakfast blend, only Happy Breakfast would do. I like a breakfast tea that is super strong and flavorful. I often over-steep black tea in the morning when it's not strong enough. I need something bold, malty, and punchy. I usually go for English blends for breakfast since they tend to fit this description. I also found an Australian afternoon tea from T2 I find perfect for breakfast as well. But now I don't need to look further than Happy Earth Teas! 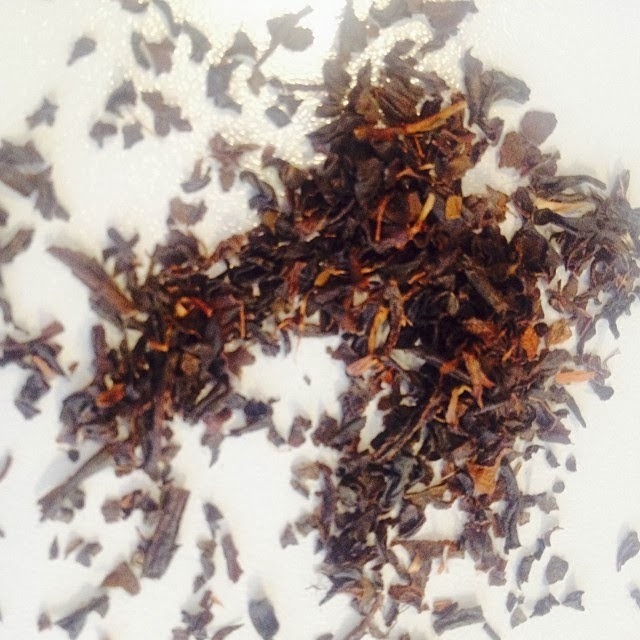 This blend contains organic Assam and Yunnan tea. Right from the first sip, I can feel my body warming and waking. The tea is quite earthy and malty, with a little bit of smoke and raisin sweetness. It is smooth and strong, the perfect cure for a frigid day. Whenever I drink a tea like this, I'm reminded of whiskey, leather, and tobacco. A dark richness. It's got everything I'm looking for. I highly recommend this blend if you enjoy a strong breakfast tea. It will make your breakfast very happy. Happy sipping, and stay warm! You would like Samovar Blend as it is a smoky tea and most strong, as most Russian teas tend to be. Lovely descriptor: "whiskey, leather, and tobacco" I think even Chanel would find amusement with the wordings while having a good cup of the tea. Or perhaps not. Sounds a bit like a milder Lapsang Souchong! The name itself makes it worth a try. I am a great fan of the Lapsang Souchong and it looks similar, ty.